The article has been co-authored by Lavanay Gupta and Parth Agrawal, LLB students, OP Jindal Global University. There are 2,67,73,356 cases pending in various courts of India, according to National Judicial Data Grid statistics, and are rising with each passing day. The minimum average period to complete any trial in India is six years, which tends to increase if the case is dragged till the Supreme Court. Ideally, the accused gets punished after years of trial and by that time either the victim or the accused dies, or so much time passes that the punishment pronounced serves no purpose. As the saying goes, "justice delayed is justice denied" (William E Gladstone, British statesman and prime minister). The Indian government has from time to time enacted various legislations such as Arbitration and Conciliation Act, 1996, which gave birth to the process of arbitration in India, the fast-track courts to expedite the sensitive cases, mediation centres which help to solve the matter in between the parties without approaching the courts, and so on. All this was done to reduce the pendency of cases and ease the burden on Indian judiciary, but not much could be achieved out of these efforts and still the pendency rate is increasing at an alarming rate. We all are aware that in civil cases courts ask the parties to solve the case outside with mutual consensus, but many are unaware that we have the same system in criminal cases too and it is known as plea bargain. The concept of plea bargaining system was introduced in 2005 and enacted in 2006 on the recommendation of 142nd and 154th law commission report published in 1991 and 1996 respectively, both focusing on pendency of criminal cases and on the amendments required in Code of Criminal Procedure. But the section on plea bargaining were introduced approximately 14 years after the first recommendation, which resulted in mass compilation of the cases. Secondly, the recommendations were selectively picked, leading to poor drafting of plea bargaining. It recommended a plea-bargaining system based on American model terming it as extremely successful in reducing the pendency of criminal cases in America, where the plea-bargaining system is free of any kind of restriction unlike the Indian model. 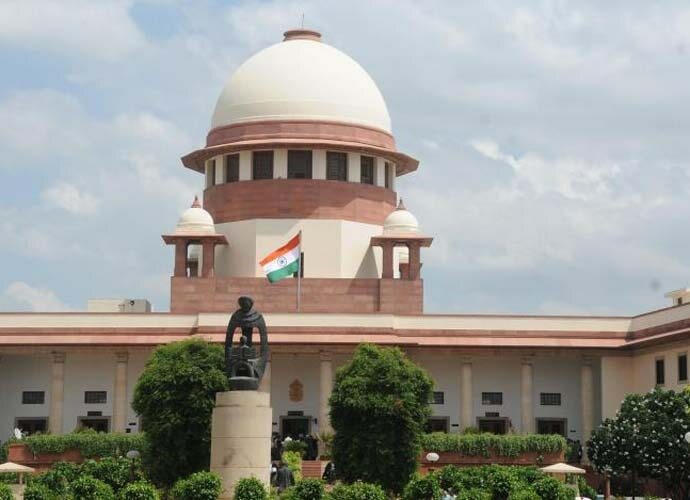 Indian lawmakers restricted the usage of plea bargaining by imposing restrictions on crimes against women and child, crime with imprisonment of seven years or more, crime with sentence to death or imprisonment for life and crimes affecting the socio-economic condition of the country not to be tried under plea bargaining, which made it practically impossible to use. The cases surviving the barrier imposed by the government which can be solved by the way of plea bargaining are also rarely referred for plea bargaining due to the courts discretion in punishing the pleader. Murlidhar Meghraj Loya versus State of Maharashtra is a perfect example of courts disputing the procedure of plea bargaining as the Supreme Court ruled that it is the state's duty to enforce law and order not to barter with accused for lesser sentence. Even in the case of Kasam Bhai Abdul Rehman versus State of Gujarat, the Supreme Court ruled against plea bargaining by saying that awarding sentence on basis of plea is illegal. The ratio in above cases clearly depicts the court’s dissenting opinion on the procedure of plea bargaining due to which it has not been successful till now. The Arbitration and Conciliation Act, 1996, formed on the similar lines of plea bargaining for civil suits in India gives both the parties a chance to settle the suit outside the court and leaves the onus of deciding the damages on the arbitrators (authority) who are appointed by the judges and reduce the burden on civil courts. Whereas in criminal justice system, once the plea deal is finalised between both the parties, the onus of awarding punishment still lies on the judges of criminal court, thus failing to reduce the burden on courts and destroying the whole idea of plea bargaining. India and France have a similar attitude towards plea bargaining. France has kept it limited to crimes punishable with not more than five years, and India has kept it for crimes punishable with not more than seven years of imprisonment and with various other restrictions. A report stated that in 2005 only 4 per cent of French decisions by correctional courts were made using the new guilty plea procedure (French Ministry of Justice 2006). Whereas success rate of plea bargaining is 86 per cent in United States and in Russia the deals shot up from 37 per cent in 2008 to 64 per cent in 2014. The concept of plea bargaining is extensively used in countries such as the US and South Africa. It has proved to be a speedy tool for delivering justice as no restriction are imposed on its use. The system in these jurisdictions even allow prosecutors to drop charges. For instance, a murder charge can be replaced by negligence or a theft or a minor charge of trespass. The only limitation they have is the minimum sentence for the particular crime, which is a healthy and fair practice that ensures balance is maintained and no criminal can roam around free, also preventing future crimes as there may be many thinking that they’ll take shelter of plea bargaining after committing a crime. Firstly, the legislature needs to reconsider the idea of Indian plea-bargaining procedure, and bring it in line with the system recommended by the law commission in its reports. It needs to break the barriers and include crime against women and child in it, also if possible crime with imprisonment of seven years or more should be added so that it can cover mass volume of cases. Various steps by government and higher judiciary towards speedy disposal of cases such as installation of “justice clocks” which would compare the high courts based on disposal of cases per day won’t be of much help. 1) The restrictions in the introductory Section 265A of Code of Criminal Procedure, 1973, pertaining to cases against women and child, socio-economic cases and restriction on use of plea bargaining system for the crimes with imprisonment of more than seven years should be done away. However, restrictions can be imposed on the crime with punishment of death penalty. 2) Section 265B of Code of Criminal Procedure, 1973, makes it mandatory for the accused to file an application in court to request for plea bargaining. However, to create awareness about this provision, the judge should inform both the victim and accused about the provision of plea bargaining before the trial starts, similar to the system in civil courts where the parties are given the option to solve the problem through ways of mediation or arbitration. 3) The discretion given to judges under Section 265E of Code of Criminal Procedure, 1973, to award punishment once the deal is struck should be removed as it discourages the accused to plead guilty because his fate still depends on the judge/s. 4) Under 265G of Code of Criminal Procedure, 1973, a buffer period should be given to victims before the courts accept the plea deal, as it helps minimise cases where the deal is struck under threat because it will give them the time to rethink over the deal and come out in front of the court if the deal is not by their free will. The government, judiciary and people have to go hand in hand to reach an amicable solution so that justice is imparted to everyone. Every two out of three people languishing in jail for years are waiting for their trial which is a gross injustice and even violation of their basic fundamental rights. That culprits are roaming free outside because of slow judicial process is also an injustice. So, to put an end to all of this, the burden on courts need be eased and new systems need be introduced and ensure timely justice to everyone. Also, if Indian lawmakers plan to introduce the ambit plea bargaining in the India legal system, then India needs to get prepared. In a recent article, it was revealed that most of the Indian jails are overcrowded by 150 per cent and in some case up to 600 per cent. So, the first step that the government should take is to decongest these jails. It must also ensure a system through which the accused get a chance to repent for their crimes and the victims get timely justice. This would indirectly help in speedy trials and decongestion of jails.